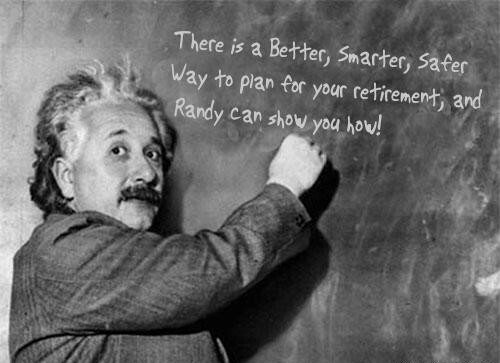 Retirement Planning – Everyone is at a different phase of their financial life. When one is younger, the focus is mainly on asset accumulation. The goal is to earn a living. Then, save and invest enough money to finance a lifestyle today and ultimately accumulate enough assets to finance a lifestyle from those assets in the future. Generally, people refer to this as “retirement”. We prefer to refer to it as “Financial Independence”, when your assets are sufficient to provide with an income so that work is no longer a requirement. Instead, work is an option. Income planning is the process of taking you from where you are today that place, to financial independence. Asset Protection – Protecting what you have from those that would take it from you is asset protection. The “takers” can be creditors, relatives, the government, and others. Your assets not only include traditional things like stocks, bonds, and real estate. For many, their single biggest asset will be their ability to earn an income over their lifetime. That needs to be protected too. The goal is simply to create barriers and boundaries that prevent and/or deter others from taking what you have earned. Estate Planning – We look at our financial lives in two phases; one while you are living and the other when you are not. I call this your life and your legacy. Think of it as asset protection once you are no longer here to physically protect your assets. The goal of estate planning is to ensure that what you have accomplished in your live will be passed on to your future legacy in a manner that you choose. Tax Planning – Taxes are life’s single biggest expense. Yet, like most expenses, paying taxes are a choice that you get to make. It’s not that you get to choose if you should or should not pay taxes. It is simply a matter of making tax-efficient financial decisions. This is the principle of “The Net” which states, “it’s not what you make, it’s what you keep that matters.” In our opinion, any comprehensive financial plan needs to address each of the essential elements, simultaneously, or the plan falls short of being as effective as possible. Step #1 – Optimize What You Have – Most people have an investment smorgasbord, an “investment de jour,” a cacophony of investments and strategies that generally are inefficient and potentially conflicting. To optimize what you have is to simplify and organize your investments into one cohesive and manageable strategy, one system to ensure that all your assets are all working together to do all they can for you. Step # 2 – Eliminate All Reductive Debt – There are two kinds of debt; reductive and productive. Reductive debt is generally debt used to acquire “stuff”, things that are consumed or depreciate in value and never provide an income. On the other hand, productive debt is used to acquire assets that appreciate in value and/or do provide income. Reductive debt gets in the way of growing your wealth. Productive debt nurtures and grows your wealth. Reductive debt is generally expensive. Productive debt is generally cheap. In most instances, your earning from investments can never outpace the cost of financing your reductive debts. Reductive debt needs to be eliminated before you move to step #4. Step #3 – Establish Significant Liquid Cash Reserves – You need liquid cash reserves to two reasons; when things go wrong, these reserves will help you to weather the storm. Or, when opportunities present themselves, you need liquid cash reserves to take advantage of them. Either way, you need reserves. Step #4 – Invest for Long-term Goals and Plans – Once steps 1-3 have been completed it’s time for you to work on this final step of the process. Following these 4 steps in sequence and you are much more likely to achieve financial success. Most people don’t. As a result, most people are financially unsuccessful. Most people invest their assets inefficiently, not optimally. Most people will have reductive debt. Most people don’t have a significant liquid cash reserve. Yet, they try to save and invest in their company 401(k). Why? Because once they no longer can or want to work they do know that they will need a nest-egg to provide the income they will need for the next 20, 30, 40 years or more. If instead, people would do the right thing and follow the right process, this simple 4-step process, then most people would be much more likely to be financially successful and they would certainly be more likely to live a less stressful and more fulfilling life.